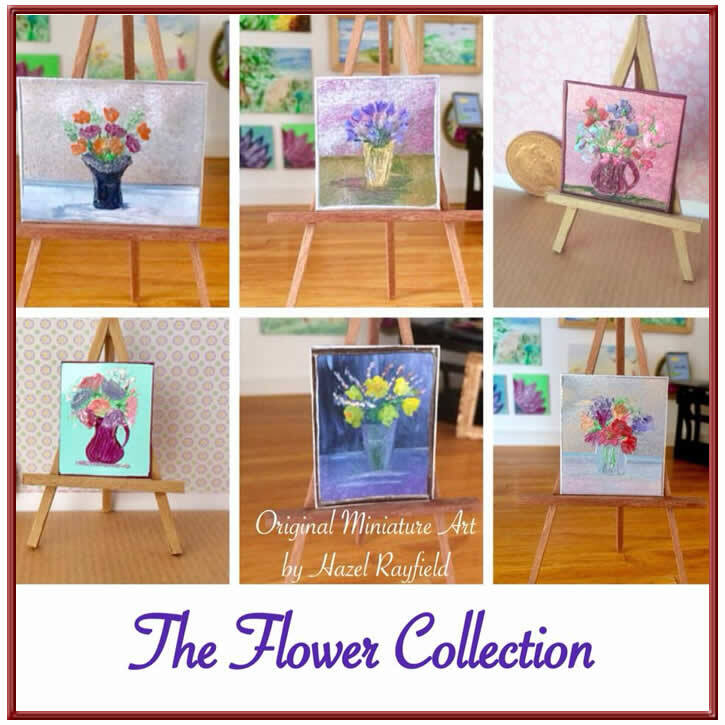 These paintings are 2.5 x 3.5 inches in size so ACEO collectible size miniature art. But these are going into a large miniature dolls house property with is a hotel. I have supplied them framed in handmade (by a craftsman here in the UK) 3 x 4 inch wooden painted black frames. All my paintings are original and are painted in encaustic hot wax paints using specialist heat tools and mostly on Encaustic gloss card although I do also paint in other supports, Matt card, mount board and wood. I love to paint in miniature and as well as my paintings for sale I also do commissions. All Original Art In Wax – if you would like a special picture just for you. In my style naturally I don’t do copies / reproductions so please contact me for more information. I am happy to ship worldwide if you are happy to pay postage. Art In Wax is now in 15 countries on 3 continents – as far as I know !! New Art In Wax Painting Exhibition. 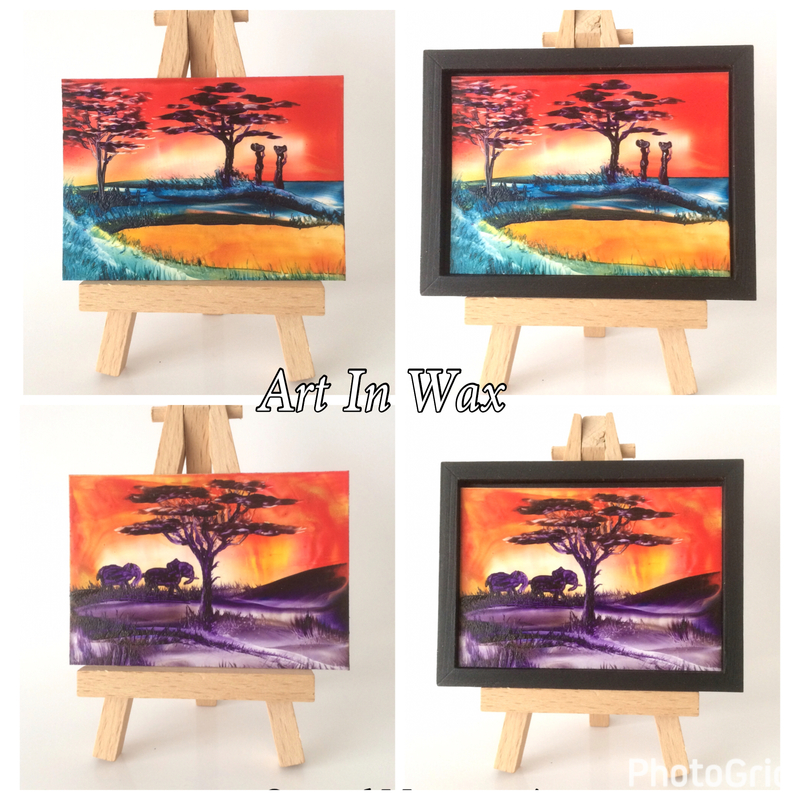 If you are follower of my blog you will know that from time to time I like to paint a series of pictures within a theme that I feature on my Art In Wax website online exhibition page. This time the feature is a collection of ACEO miniature paintings. This is the first time I have made an exhibition featuring miniature paintings. ACEO are a popular art collectible. ACEO stands for Art Card Editions and Originals and are a miniature type work of art, an ATC or ACEO can come in a wide variety of styles, materials and subjects. The only criteria is that the size is 2.5 x 3.5 inches. Fantasy art is a new area for me, I haven’t really painted very much before this year. With my recent new fantasy paintings proving very popular, fairies and dragon in particular, I thought that an miniature ACEO / flower fairy format would make a great combination for an exhibition. 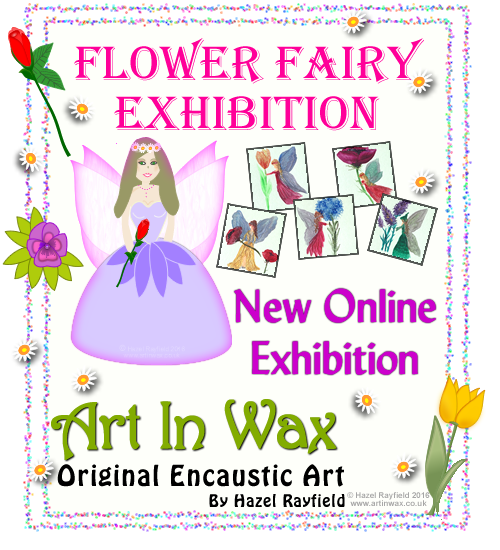 This collection of Art In Wax are mixed media, as I have used my computer to print onto the card a birder and words before painting the flower fairies. Painted using my specialist heat tools, onto a green semi sheen card, in my encaustic wax paints each is 2.5 x 3.5 inches approx. To view the full collection of 9 paintings please ….. I painted these three miniature dolls house paintings last week and made a new display in The Gallery as you can see below. The Gallery is 1:12 scale. Built for me by my very clever husband Adrian. 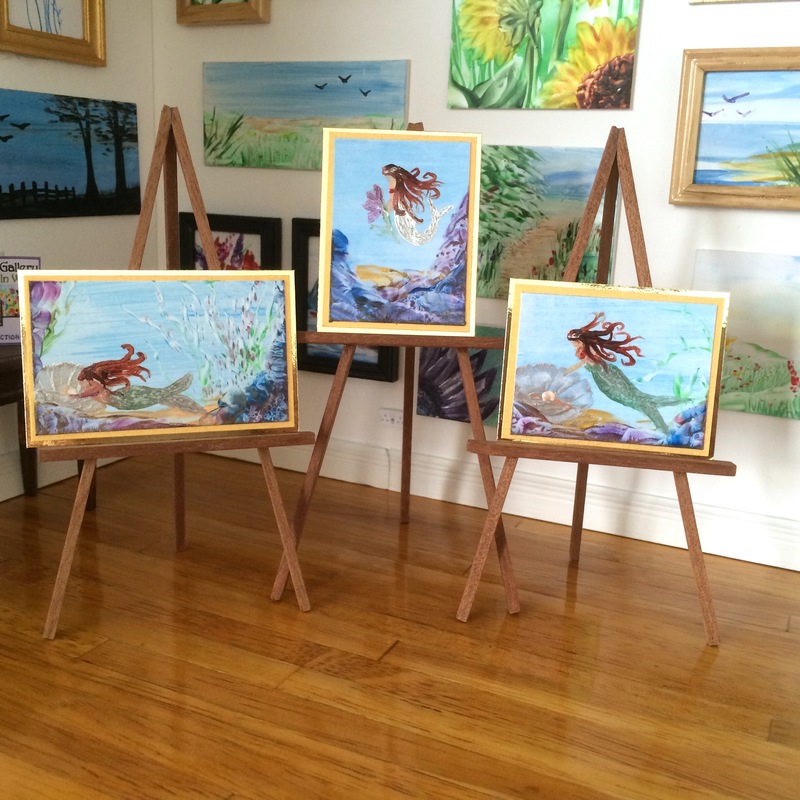 These three paintings are all new Art In Wax miniatures. Each is an original picture painted in encaustic paint I have layered them on gold card to give a lovely border. I paint commissions In my Art In Wax style naturally (I don’t do copies) I am an original artist and none of my paintings are the same. Some are of similar subjects but each is a one of a kind original piece of art. Commissions are not much more expensive than my pictures shown online.